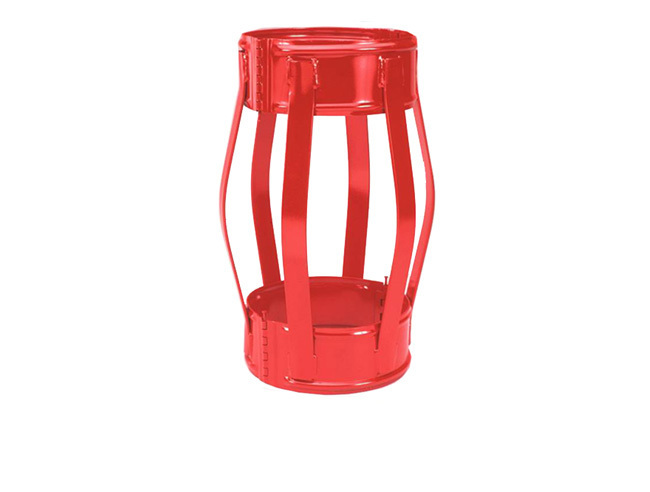 Hinged Welded Spring Bow Centralizers are high quality welded products, which meet or exceed API 10D specifications. They are designed for high restoring forces combined with low starting forces essential for centralizing casing pipes. They are manufactured and heat-treated under controlled temperature and time cycles ensuring that the Bow Springs are strongly welded to the End Collar. This ensures minimum distortion and maximum rigidity and integral hinges folded on the inside stay intact even under extreme stress. In addition, the End Collars are designed with a reinforcing rib stamped into the End Collar to ensure maximum strength.